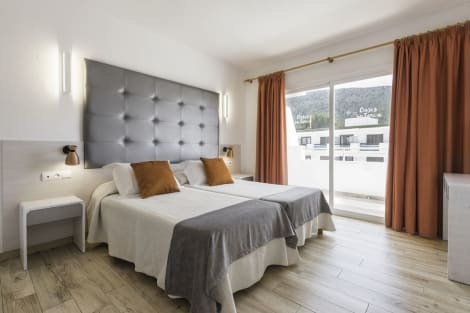 Located in Santa Eulalia del Rio, Palladium Hotel Cala Llonga - Adults Only is on the waterfront, within a 15-minute drive of Golf Club Ibiza and Etnological Museum. This 4-star hotel is 6.8 mi (11 km) from Talamanca Beach and 7.5 mi (12 km) from Port of Ibiza. Enjoy a satisfying meal at Buffet Restaurant serving guests of Globales Montemar Apartamentos. Relax with your favorite drink at the bar/lounge or the poolside bar. lastminute.com has a fantastic range of hotels in Cala Llonga, with everything from cheap hotels to luxurious five star accommodation available. We like to live up to our last minute name so remember you can book any one of our excellent Cala Llonga hotels up until midnight and stay the same night.